Students from our MArch and BArch (Hons) Architecture courses recently took part in this year’s RIBA East Midlands Design Charrette. 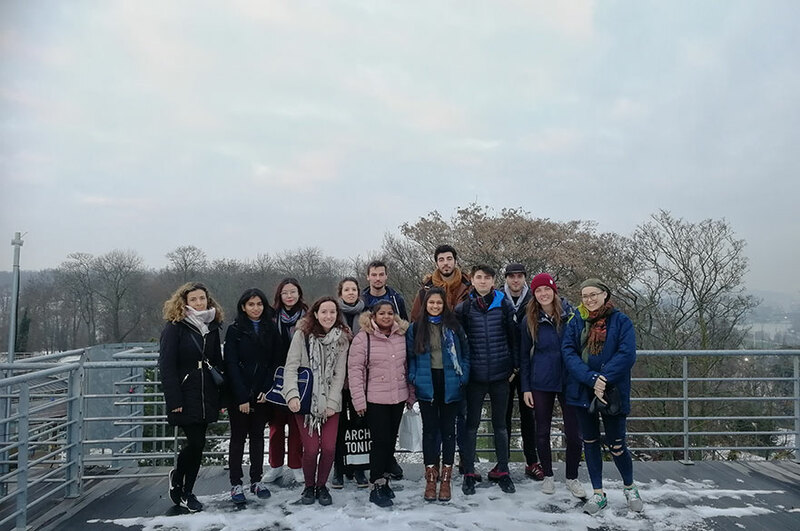 Ten students from our MArch and BArch (Hons) Architecture courses recently took part in this year’s RIBA East Midlands Design Charrette. 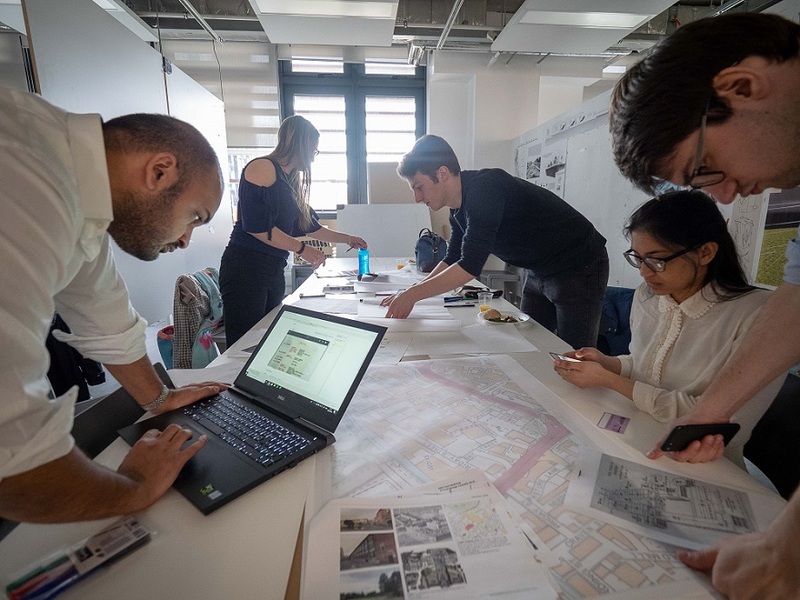 This year the charrette took place at De Montfort University where students from University of Lincoln, University of Nottingham, Loughborough University and University of Derby were challenged to produce designs and proposals for a new gateway in Leicester City Centre. In keeping with the tradition of a charrette, the challenge was not announced until the day of the competition. The idea behind a design charrette is to come up with a large amount of creative design thinking in a short space of time. Spilt into ten teams from the universities across the East Midlands, the students looked at a site called the Corah Buildings in Leicester. 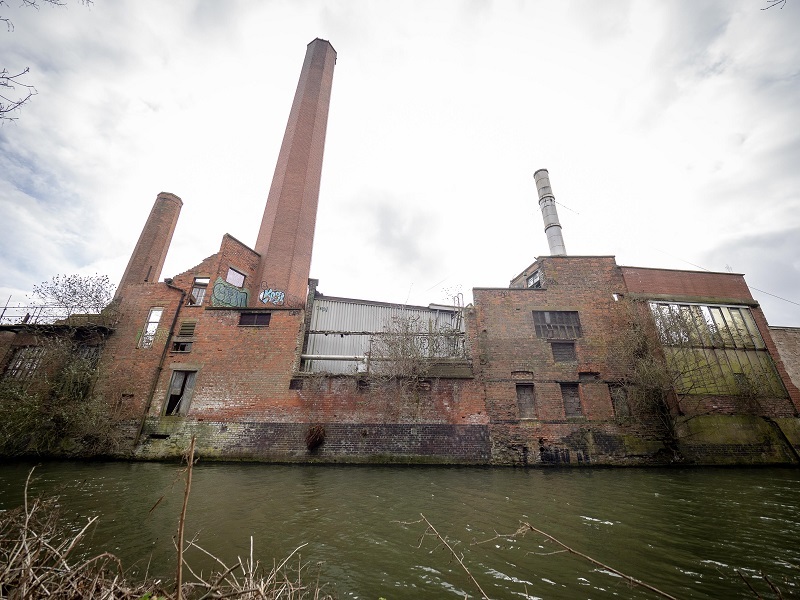 The site has the potential to form a bridge between Abbey Park, & the wildlife corridor of the Grand Union Canal in the city’s retail and commercial centre. It is also a key heritage asset and a prominent player in the stories and narratives of Leicester’s recent history. Students were also asked to consider in their designs how to encourage more residents to walk and cycle to the city centre from the area. 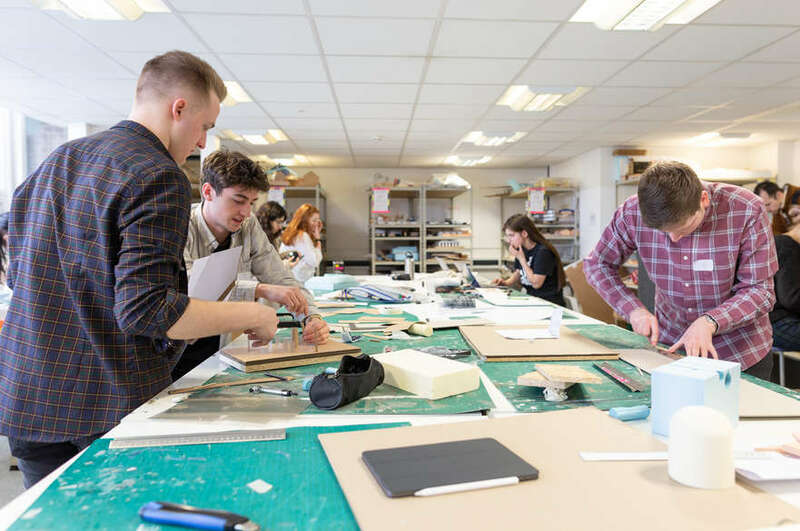 Lois Woods, BArch (Hons) Architecture Course Leader, who attended the event said: “RIBA events such as the design charrette are a great opportunity for our students to work collaboratively with other students, and express their creative talents. It was a pleasure to see so many innovative designs and excellent work from architecture students in the East Midlands”.